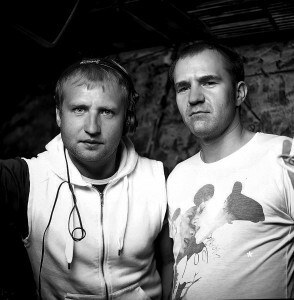 Pasha NoFrost and Kolya Smart- djs and producers from Moscow, Russia playing house music since 1996. Being inspired by the early production of labels such as Soulfuric, Z records , Defected etc. they gently keep soulful and funky traditions and build their production and dj sets following true house feelings.. They are founders of funk and jazzy house band “Soul Cola” together with beautiful singer Karina K Crystal brilliant saxophonist Timur Nekrasov and talented jazz instrumentalists. Since 2007 Soul Cola production is well known and recognized in soulful house music scene. Soul Cola tracks often reached top 100 tracks and were remixed by well-known producers among which Richard Earnshaw and Central Ave, played by Grant Nelson and Andy Ward. In 2012 after series of successful remixes for Stereo Mutants (UK) and Clemens Rumpf (DE) Pasha NoFrost becomes a winner #1 of Hardsoul feat. Ron Carroll – Back Together remix competition by the legendary Soulfuric Rec bringing nu disco vibes to the legendary track and receiving huge feedbacks all around the world. His next nu disko killer for Georgio Schultz with amazing Mary Griffin on the vocal – My Love Can Take Your Higher (Pasha NoFrost Disko Re-Muzix) released at Hardsoul Pressings reaches top 10 tracks at traxsource.com becomes soulful essential tune #1 and gain massive support from biggest names such as Grant Neslon, Brian Tappert, Maurice Joshua, Audiowhores, Random Soul and many others..